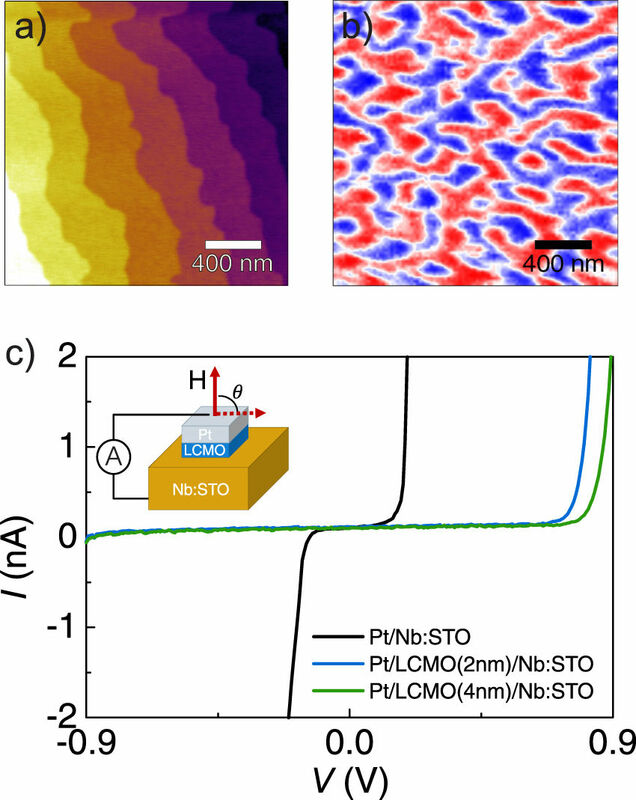 Multiple spin functionalities are probed on Pt/La2Co0.8Mn1.2O6/Nb:SrTiO3, a device composed by a ferromagnetic insulating barrier sandwiched between non-magnetic electrodes. Uniquely, La2Co0.8Mn1.2O6 thin films present strong perpendicular magnetic anisotropy of magnetocrystalline origin, property of major interest for spintronics. The junction has an estimated spin-filtering efficiency of 99.7% and tunneling anisotropic magnetoresistance (TAMR) values up to 30% at low temperatures. This remarkable angular dependence of the magnetoresistance is associated with the magnetic anisotropy whose origin lies in the large spin-orbit interaction of Co2+which is additionally tuned by the strain of the crystal lattice. Furthermore, we found that the junction can operate as an electrically readable magnetic memory device. The findings of this work demonstrate that a single ferromagnetic insulating barrier with strong magnetocrystalline anisotropy is sufficient for realizing sensor and memory functionalities in a tunneling device based on TAMR.